The Amazon book synopsis traces Rob Callistro aspirations as a child to play in the major leagues to his time in the pros, but also the end of that career short of the majors. That end came as Callistro's "whole identity" was wrapped up in the game, the synopsis to "The Reliever" continues. Then came his fall and rebirth. "He seeks to deal with the disappointment and hurt through alcohol and drugs," the synopsis concludes. "But eventually he finds a greater high than he has ever known when he puts his faith and trust in Jesus Christ." Callistro played a total of four seasons as a pro. He made it to high-A. He didn't make it to the bigs. He then set out on a path that led him to be a minister. The subtitle of his book published in 2015 says simply that, "My journey from pitcher to preacher." Callistro's pro career began in 1989, taken by the Mariners in the 43rd round of the draft out of Concord High School in California. At Concord, Callistro won county honors. 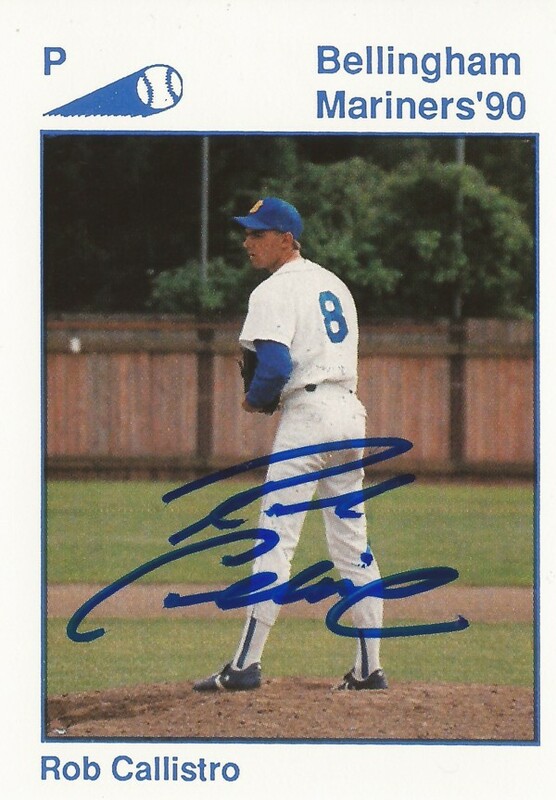 Nicknamed Bulldog, Callistro won all-East Bay in 1988. He also threw a no-hitter and earned team MVP. With the Mariners, Callistro started in the rookie Arizona League. He went 5-2 there in 1989, with a 2.62 ERA. He made the league all-star team. He moved to short-season Bellingham for 1990. He went 2-2 over 22 relief outings, with a 5.55 ERA. Callistro played 1991 with co-op Pocatello. In nine outings, seven starts, he went 0-3 and turned in a 5.92 ERA. Callistro didn't hit the field again until 1995 at high-A Prince William with the White Sox. He picked up his a loss in an April game. Overall, he went 1-1, with a 4.00 ERA over eight relief outings to end his career. He then became a preacher, instructor and later an author. In 2016, he was interviewed on a YouTube episode of Outreach Connections.